The Great Lakes and Michigan Forests are some of the areas where one of the most notable groups of native Americans used to congregate. They are the Anishinaabe, a group of woodland Indians, consisting of several Algonquian tribes: the Algonquin, the Ojibwe, the Odawa, the Potawatomi, the Mascoutin, the Oji-Cree and the Mississaugas. Although they are now not as many and separated, their culture and languages live on through their descendants. In this article, we'll acquaint you with historical facts about what their lifestyle, culture, and beliefs used to be like. There were various ways these woodland tribes used to sustain themselves, fishing in rivers and lakes being one of their main options. In the winter they mostly hunted beavers, muskrats, raccoons, deer, elks, bisons, and black bears for their meat and skins. In the spring they harvested nuts, wild fruit, and vegetables such as berries, onions and rice. In some cases, the native people farmed corn, squash, beads, and pumpkin. 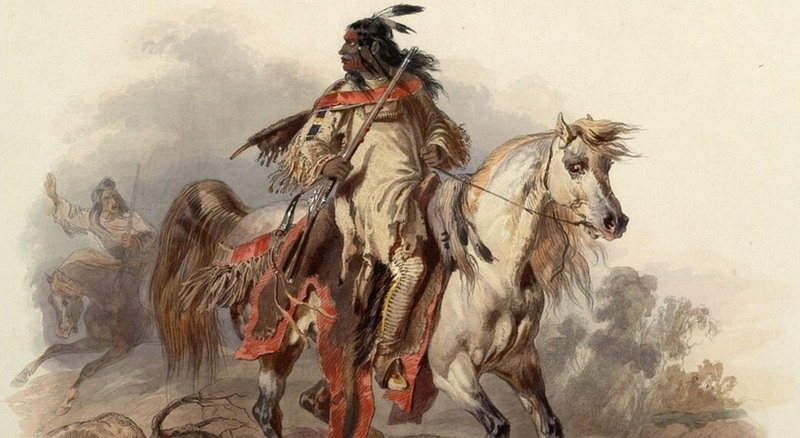 Moving was a regular occurrence in their societies, traveling on foot and canоеs to other camps whenever resources were depleted or seasons changed. Their housing ranged from wigwams to tipis and longhouses. Trees and other plants like all living things possess spirits according to the Native Americans living in the woodland areas of the Michigan forests. The Ojibwe tribe considered the flora and their crops to be gifts of the great creator spirit Gichi Manidoo and respected the spirits of each tree, shrub, and grain of corn. Birch and Maple trees were particularly important to the woodland tribes. Birches were peeled during the summer. Before beginning the gatherers made tobacco offerings to the Great Spirit. Then they made cuts in the trees and took large sections of the barks to use them for various things: to cover their wigwams, to make baskets, canoes, and torches etc. Maple trees, on the other hand, were valued for their sugar which was harvested during the spring. Although they have their individual differences, the Algonquin, Ojibwe and Potawatomi shared religious beliefs and many of their customs. Because they shared the same land, the interactions between members of the different tribes often resulted in them influencing and adopting from each others' culture. Tobacco represents the East. A mixture of tobacco and other herbs was used for prayers as a medium of communication with Gichi Manidoo. White sage represents the West and was burned as a purifier. White cedar represents the South, used to cleanse the area in which it was burned. Sweet grass represents the North. The elder blessed newly built structures and its inhabitants by burning it; sweet grass was another purifier and was meant to replace negative with positive energies. There were various items that were imbued with special meanings and played key roles in the Michigan Indians' culture. One of them was the dreamcatcher which was a protective charm with spiderweb design used to trap evil spirits that meddled with people's dreams. The person owning it would decorate it with spiritual and personal belongings such as beads and feathers. Another important item was the wampun which was a belt made out of shells in the form of beads that were used as currency for special occasions such as engagements and weddings. Whenever a member of a tribe died, the village's chief would perform the Cry ceremony. A milkweed would be tied in five knots and the chief would dance and sing around the fire for five days, each day untying a knot. Nowadays many of the indigenous people that once roamed the Michigan forests and Great lakes have chosen to integrate into modern society. Some have decided to combat poverty in Native American reservations by opening up casinos in order to create jobs. Despite these changes to their lives, there are some who have preserved their identity by maintaining their traditions and customs to this very day.